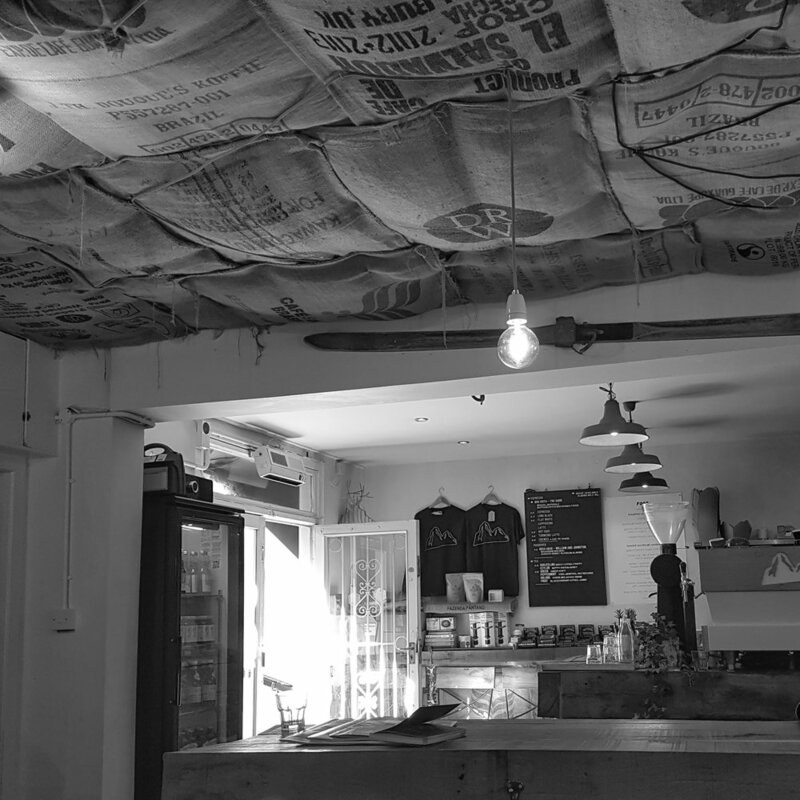 Cairngorm Coffee is the third point in the triangle of basement cafes in and around George Street that serve to inject delicious coffee into Edinburgh’s touristy New Town. It’s a strange serendipity that allows three top class cafes to exist basically within the same block (or underneath the same block) and for all to flourish in their own way. They each exist within their own niche: Lowdown Coffee is bright, clean and elegant; bespoke Scandi-inspired exquisiteness. Wellington Coffee is cosy and charming, a tiny cult favourite among Edinburgh’s coffee multitudes. Cairngorm is something else again: it makes you feel like you’ve walked into a rustic log cabin deep in the forest. There’s something bygone and heartwarming about the interior space, all chunky wood, exposed brick, and convivial lighting. Cairngorm is, like the other two cafes, a little hard to find. It jostles for space between Eteaket (a tea shop) and Charlie Miller (some sort of hair salon, apparently). If you look closely you’ll see the entrance down the steps and past the outdoor tables on Frederick Street. It is warm and cheery inside, white walls and lots of light fixtures counteracting the lack of windows. Recycled burlap coffee sacks line the ceiling, and the mountain influence extends from the name to the skis and antlers on the walls. Tables are sturdy rough-hewn wood, as is the bar, adding to that cabin-in-the-woods feel. The stools are made from - I think? - repurposed farm machinery. There are a number of bar seating areas, one of which even contains in-built iPads for customer perusal. The effect, much like the other two nearby basement cafes, is of a sanctuary, a place to hide away from the worries and bustle of the busy streets above. The baristas were making use of a beautiful customised white La Marzocco Linea alongside what seems to have become the specialty coffee shop standard, a Mahlkonig EK43 grinder. Manual brews are by pour-over and Chemex, and they also have an extensive tea selection, for those not inclined towards coffee. Again like Lowdown and Wellington, Cairngorm showcases various roasters from the UK and around Europe - while I was there they were featuring The Barn from Berlin as well as Edinburgh’s own Williams & Johnson. 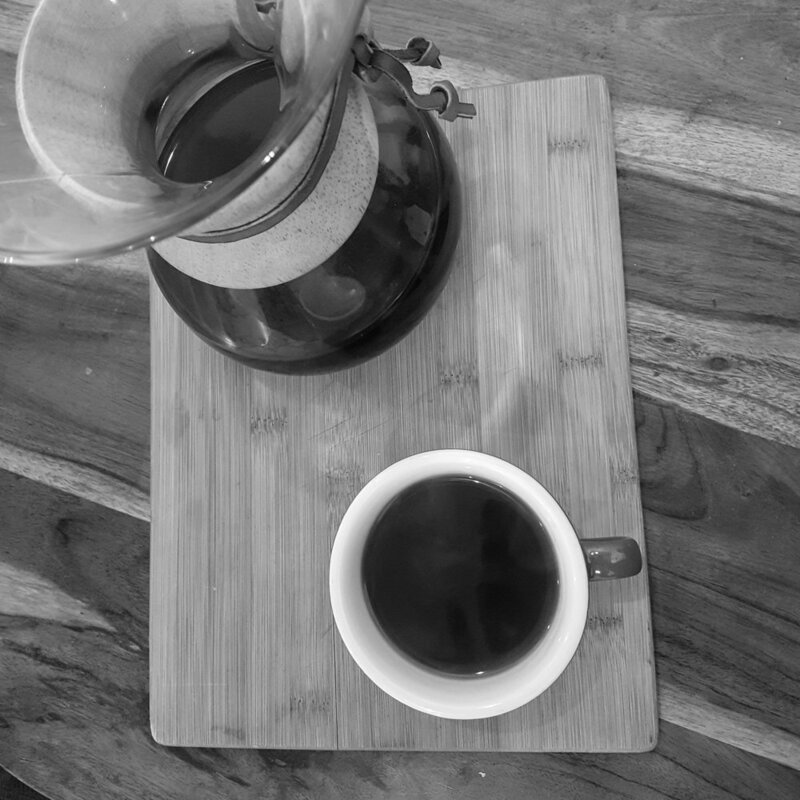 I chose to try the Ecuador Rosa Abad from Williams & Johnston, brewed by Chemex, and it didn’t disappoint: light and sweet, with a nutty undertone and a refined, delicate brightness. The other thing to note about Cairngorm is their food offerings. Alongside the usual selection of traybakes and pastries, they have a distinctive, standout item: grilled cheese. While it does have the effect of imbuing the whole space with a characteristic “fried cheese” smell (whether or not this is a positive or a negative depends on your taste), it’s excellent to see a coffee shop taking such an unusual approach to the familiar cafe food menu. 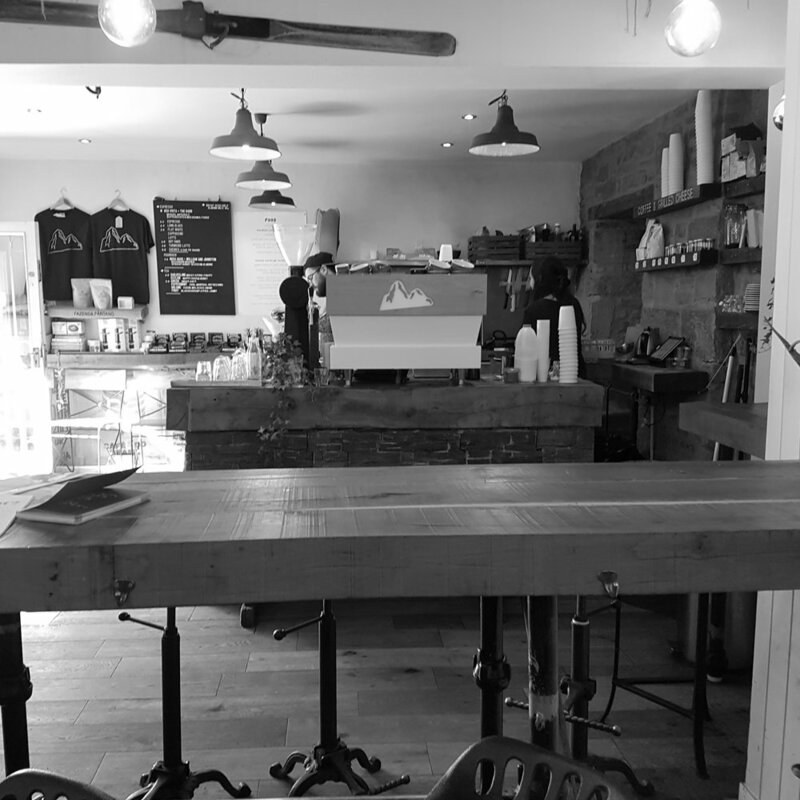 Cairngorm is yet another example of why Edinburgh’s coffee scene is becoming second to none. They recently opened another location, with a noticeably different vibe, at 1 Melville Place in the West End, a sign that their popularity is increasing amongst a population already spoilt for choice. They seem to have a loyal coffee following, and their grilled cheese selection allows them to pursue the lunch crowd as well. Hopefully this trend of basement cafes continues apace, as I’m a fan; and it’s no bad thing to be headed into New Town and have so many excellent coffee options available. Cairngorm is a haven, snug and warm and comfortable, the perfect place to savour a cup of coffee before heading back out into the crowds.